Are you fed up of multiple cooking appliances? Are they eating up a kitchen space and you just can't fit an Air Fryer, a Pressure Cooker and A Slow cooker? Welcome to the Complete Guide of Ninja Foodi world! One of features you need to know about your new Ninja Foodi is that it allows you to make delightful, healthy foods in a more effective way. You are going to save your precious time and money regarding cooking your favorite dishes! The amazing Ninja Foodi is an all-in-one kitchen appliance like that no other, that is designed to replace not only an Instant Pot and Crock-Pot but also an Air Fryer! The meticulously crafted design of this single appliance allows you to Saute, Broil, Bake, Roast, Pressure Cook, Steam, Slow Cook and even Air Fry! All under the same hood. You are going to have your nutritional and delicious recipes in a short time! You will change your whole life by using a Ninja Foodi, which is the most multi-functional kitchen appliance in this world now! Detailed ingredient lists and precise cooking times, each dish turns out perfect. Tasty Dessert Recipes, Nice Snacks Recipes, etc. 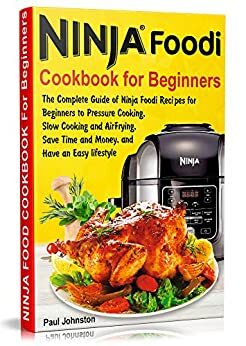 With so many mouth-watering Ninja Foodi recipes, I believe you will have your favorite ones, and make your life more colorful! The treasure is in front of you! All you need to do is scroll up to click the “BUY NOW WITH 1-CLICK BUTTON” now! What are you waiting ? Get this book to be healthy, happy, save time, save money and have a wonderful life! 5,0 de 5 estrellasThere is definitely something for everyone in this recipe book. In very little time it became my most favorite go-to cookbook since it makes everything simpler. Even if you're an absolute newbie in the kitchen, you can simply follow the instructions and make everything right in order to get an expected outcome. On the contrary, other authors' cookbooks require tons of weird and pricey ingredients, which is a not very nice thing to face for a single working mom. I appreciate the author’s attitude considering the variety and simplicity of these recipes – tasty asparagus casserole is one of my favorite recipes so far. Great guide to the Ninja. Read this book before the Ninja arrived. When the Ninja came we put it to use almost immediately thanks to this book. Many of the recipes ask for Tablespoons of salt, onion salt, garlic powder and pepper. DO NOT FOLLOW these guidelines as we believe that tablespoon was inserted where Teaspoon should have been used. The book for review is '' Ninja Foodi Cookbook For Beginners'' By Paul Johnston . Great guide to the Ninja Foodi Cookbook. Read this book before the Ninja arrived. I always look for a cookbook that contains quick, easy and definitely healthy dishes and composed of easy to find ingredients. I've learned all the great features of this new kitchen device. And I think I kinda like it. 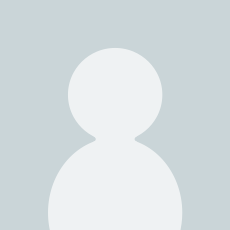 is the author of the recently released The Executive Update. 5,0 de 5 estrellasAwesome ninja foodi cookbook! It shows exactly what you need to do to cook some tasty breakfasts, lunch dishes, side dishes, snacks, appetizers, fish and seafood, meat and poultry meals and whenever I forget to take my grocery shopping list with me I open my kindle cookbook with ninja foodi recipes and look for the dishes to cook for today and this way I can cook something fresh and tasty every day, and get the most value out of it and i always look for a cookbook that contains quick, easy and definitely healthy dishes and composed of easy to find ingredients and i've learned all the great features of this new kitchen device and I think I kinda like it. 4,0 de 5 estrellasThis cookbook is amazing, and I liked almost each recipe! It’s a perfect cookbook for a newbie who has interest in learning lots of healthy & delicious meals using his/her pressure cooker. I recently purchased an electric pressure cooker and upon purchase, I was looking for a reliable source to learn some slow cooking recipes. This book took my attention by seeing its various good feed backs, so I didn’t feel hesitate to purchase it, even its price was affordable. Upon getting the book, I’ve started learning and within a week I’ve learned dozens of recipes so easily. I’m so happy with this book.